Why Do We Fast on September 14th? Ecumenical Patriarch or Universal Bishop? In 1991, 75% of Adjarians in Georgia were Muslims. Today, they have become 75% Orthodox Christians. How can these conversions be explained, which is apparently unique in the world? 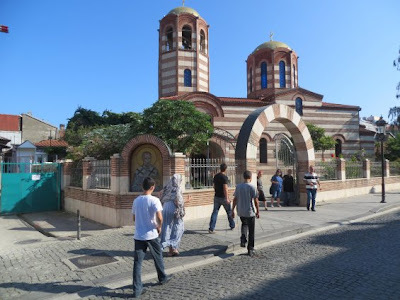 "What time do services begin at Saint Nicholas in Batumi on Sunday morning?" The question embarrasses the employee of the President Plaza, one of the largest institutions in the city, a seat of the Autonomous Republic of Adjara and the Iranian consulate. It is true that in this province of Georgia, washed by the Black Sea, the population speaks little English. All signs, such as signs in the streets, are in Georgian or Russian. The employee eventually suggests joining the Church of Saint Nicholas at 9:00 AM. In fact, the Service works strangely like a self-service. The faithful men, women (head always covered) and children come and go as they please, after long embracing of the icons and after they have crossed themselves multiple times. This curious to and fro takes most of the morning. The priest can hardly talk to us, since he speaks only Russian and Georgian. A female student, smiling, who graduated in the language of Shakespeare, came to our rescue. We ask her the question: "How is it that the majority of the inhabitants of the Autonomous Republic of Adjara in Georgia, have in two decades abandoned Islam for Orthodoxy?" The girl apologizes, caught unaware, and prefers to dodge quickly. But the facts are there, Adjara, conquered by the Ottomans in the seventeenth century, becomes overwhelmingly Muslim. In 1878, this province of 3000 km2 falls into the lap of the Russian Empire. In 1991, after the fall of communism and the independence of Georgia, Adjara seceded. Until 2004, this "independent" Republic is ruled by a dictator, a Muslim, Aslan Abashidze, now on the run. Since then Adjara (400,000) has returned to the bosom of Georgia. According to official documents, in 1991, 75% of Adjarians were Muslims. They are now 75% Orthodox. How can this mass conversion be explained? In a long interview published in December 2012, Metropolitan Dimitri of Batumi (the capital of Adjara), also nephew of Ilia II, Patriarch of Georgia, says he was appointed parish priest of St. Nicholas in Batumi in 1986. At that time, there was only one Orthodox church in Batumi. Dimitri states that "the metamorphosis of an entire region, this conversion from Islam to Orthodoxy, or rather the return to basics, to the faith of their ancestors," took place before his eyes. On 13 May 1991 "5000 Muslims and atheists became Orthodox. The same year the Church opened a school in Khulo, an ecclesiastical high school named Saint Andrew, the first religious high school in the USSR." The Metropolitan of Batumi says that Adjarians were forcibly converted to Islam by the Ottomans though, in fact, they remained Christian at heart. According to his statement, they continued to secretly wear a cross, they painted Easter eggs, and they retained the icons in their homes. Dimitri adds that many priests come from Muslim families. The rector of the seminary is the grandson of a mullah, formed in Istanbul. How can one explain the conversions brought forward on the website Provoslavie i mir (Orthodoxy and the World): "It is God's will. It is a miracle of God, for unexplained reasons that could not have been predicted," says Dimitri. The Great Mosque of Batumi is a few blocks from the Church of Saint Nicholas, near the port. First observation: it is actually a lot less crowded than the Orthodox place of worship. Nevertheless, some local publications were denouncing a "return to Islam supported by Turkey." 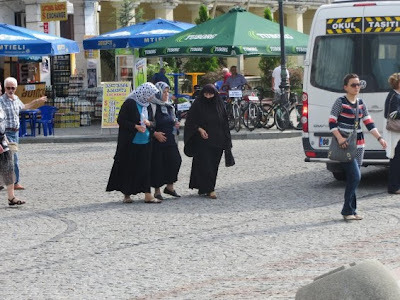 But during our stay in Adjara, we have not seen this "Islamic Turkish fairly consistent presence" due to "the influx of missionaries," including disciples of the Turkish preacher Süleyman Hilmi Tunahan. The Sarpi border entrance with Turkey is only twenty kilometers from Batumi. 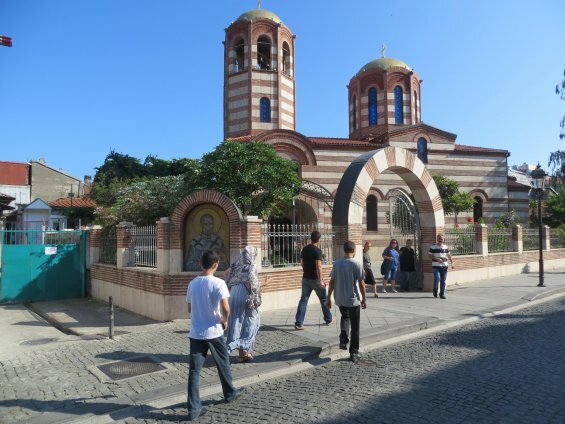 If the capital of Adjara became overwhelmingly Christian, however, the small villages in the mountains of Adjara have not yet denied the Prophet. 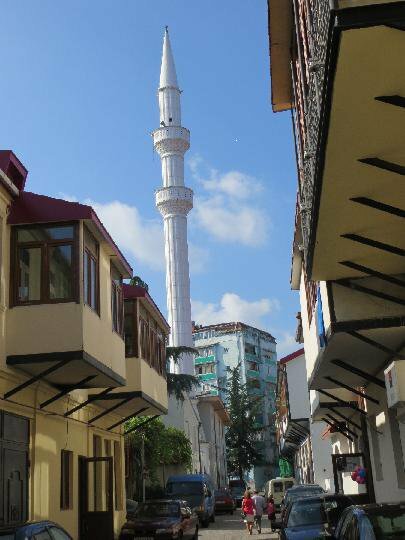 The village of Khulo, more than two hours away from the Black Sea, has a mosque and a madrasa. We were told that some seniors continue to speak Turkish, but we cannot verify it. For the visitor from the outside, the two religions appear to coexist smoothly. The Adjarians tell you without hesitation directions to the church or the nearest mosque. Nobody mentions any persecution vis-à-vis minority religions. However, these mass conversions remain taboo. Especially as the other Muslims of Georgia (about 10% of the population) do not seem to adopt Orthodoxy as quickly. Including Kistins, ethnic Chechens near the border with Chechnya and Dagestan, and Shiites in eastern Georgia, neighboring Azerbaijan. "We must understand that the Orthodox Church is a fundamental pillar of our national identity. In the past, we have been invaded by all our great neighbors, the Persians, the Ottomans, the Russians. If there had not been the cement of religion, there would be no longer any people of Georgia," said Alina Okkropiridze, former journalist and translator. After seventy years of state atheism, at the time of the USSR, Zviad Gamsakhurdia, the first Georgian president, wanted to create a "national and Orthodox" state. His successor, Eduard Shevardnadze, former Minister of Foreign Affairs of the USSR, took care "to announce his conversion to Orthodoxy, to be baptized and to choose as his spiritual director Patriarch Ilia II, the head of the Georgian Church since 1977," says the Swiss website Religioscope. Clearly, over the last two decades, the powers, the media, and nationalist parties have have constantly repeated that a true Georgian must foremost be Orthodox. Is it enough to explain, as stated by Metropolitan Dimitri, "the return to the faith of their ancestors" of the Adjarians? 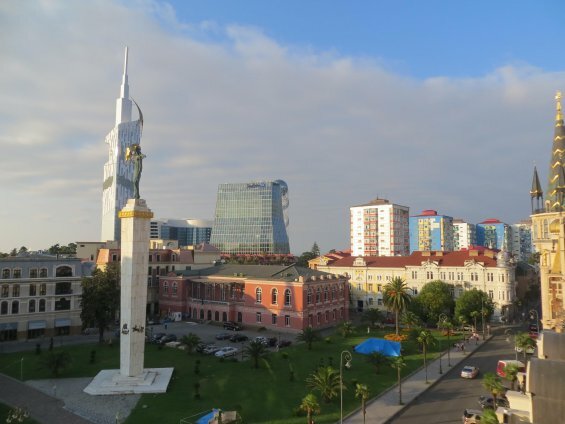 At the end of August, in the district of Adiguéni, in southwest Georgia, the authorities dismantled a minaret on the grounds that customs duties were not paid for construction materials. Muslims who opposed the destruction of the building were arrested. "A very 'unrthodox' way to act that just aims for the exile of the Muslim people," complains one local site in an article titled "Georgia: the minaret of discord."